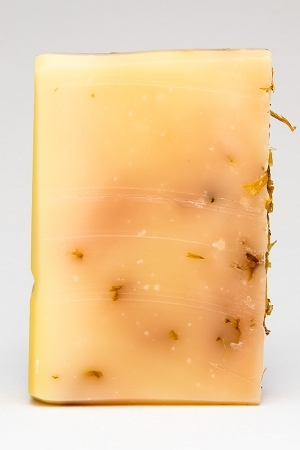 This beautiful soap is swirled with calendula petals and scented with a beautiful blend of essential oils. 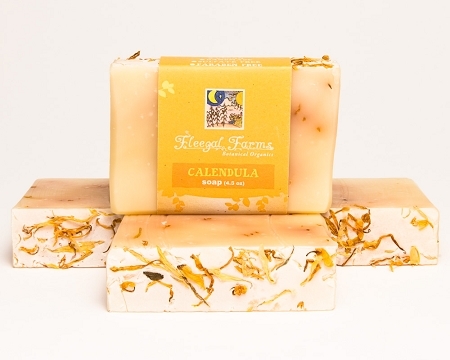 Calendula, which has been used medicinaly through the centuries, contains a high content of flavonoids which act as anti-oxidants in the body, making this an excellent choice for those with sensitive skin. INGREDIENTS: filtered rain water, saponified oils of olive (olea europaea), coconut (cocos nucifera), and palm (elaeis guineensis), pure essential oils, french pink clay, french green clay, and natural mineral pigment.